Featuring Genuine ED optics, the Starwave ASCENT 80mm F7 ED Doublet refractor has an 80mm objective lens capable of both visual observation and wide-field imaging in one telescope. ED optics offer improved colour correction, which produces a higher contrast image, whilst allowing a short, portable telescope tube. All metal. There are no plastic parts, anywhere in this product except for the rear dust cap. Proper Dual Speed Geared focuser with micro focusing (essential for fine detail). The focuser is imaging capable and the rear 2" Focuser pushfit adapter has 3x thumbscrews and a brass compression ring. Diagonal barrels aren't marred, cameras are firmly held and aligned. Flat field fast focal ratio F5.6 imaging with the optional 0.8x field flattener/reducer. Starwave 80mm F7 ED Doublet Objective, with full multicoatings on all surfaces in a collimatable lens cell with QC serial number. 2.5" Dual Speed Geared focuser with 1:10 ratio fine-focusing knob. Optional 9x50 finder with metal body and front focusing lens. Metal mounting stalk is able to attach direct to the optical tube (screws provided) or with the Altair Universal Quick Release Finder Bracket (code: UNIFBR-QRB). A high quality 23mm wide field eyepiece with laser etched, independently focusing reticule. 2"-1.25" Push-Fit Adapter with non-marring brass compression ring. Front push-fit metal dust cap, rear plastic plug style dust cap. Genuine CNC machined tube rings, fully adjustable for balance and rotation. Metal dovetail plate so you can use the scope with just about any telescope mount including iOptron, Skywatcher. Metal dewshield 103mm Outer Diameter 15cm length, non-retractable, can be unscrewed for lens cleaning. The optical tube is 54cm length and weighs about 2.6kg. The ED advantage. When compared to small Achromatic refractors of similar size, length and focal ratio, the Starwave 80ED offers better mechanics for easier focusing, and truer colour rendition thanks to the ED optics. The Starwave 80 ED delivers a sharp "contrasty" image with good colour correction and tight star images. The 80mm aperture gathers about 131 times more light than the human eye, and in a dark-sky location, observation of star clouds and larger more extended objects is most enjoyable. With a higher power eyepiece or Barlow lens, this telescope will show the planetary disc of Jupiter, the Great Red Spot, and the major cloud bands visible as irregular stripes across the disc, as well as the four largest Galilean moons and their movements from hour-to-hour. Saturn's rings and Cassini division are easy to see at higher magnifications. The mo. The convenience of a refractor. This is the perfect scope to get you, family and friends familiar with the night-sky, or started in astro-photography. Unlike most starter-telescopes, both optical and mechanical quality are very good. We don't sacrifice one for the other. Our philosophy is not to start with low quality equipment, but to include high quality optics in a beginner telescope at a good price to make using the product enjoyable. The Starwave 80 ED is an ideal beginner's choice for astrophotography with your DSLR or Altair camera. It is much easier to use than a Newtonian reflector, with a smaller tube which is easier to mount and keep steady. 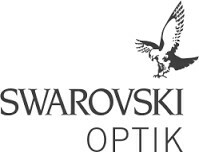 Unlike reflectors, the optics do not require frequent collimation (alignment) before use, so the product is virtually maintenance free aside from the usual yearly cleaning of the lens. For visual observerving, the Starwave 80ED fits almost any telescope mount. 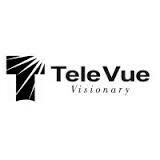 Please contact us for recommendations based on your intended observing style. Daytime viewing. By adding an optional image-erecting prism diagonal, the Starwave 80 ED becomes a real performer when it comes to terrestrial and nautical observation, offering performance in the same category as ED spotting scopes costing many times the price. Simply increase the brightness on the Red Dot Finder and you can use the scope with pinpoint accuracy during daytime. Astro imaging or terrestrial photography with the Starwave 80ED: A smooth dual speed "non-slip" 2.5" Geared focuser is supplied, with tension adjustment, able to carry a DSLR or CMOS camera such as the Altair Hypercam or GPCAM, and filter wheel if required. The optics are compatible with the Lightwave 0.8x field flattener / reducer and the Lightwave 1.0x field flattener which have a T-Thread to connect to DSLR adapters. These are positioned at approx. 55mm from the rear flat face of the reducer/flattener to the camera sensor. The machined aluminium tube transmits heat to the optics, which benefits users of dew control systems. It also allows the optics to shed heat rapidly for fast cool-down to the ambient temperature - a must for best performance with any telescope. The ASCENT 80ED is the perfect size for the iOptron CEM25P imaging mount. Finder scopes and auto-guiding: You can attach the Altair 32mm Miniguider or MG32 for auto-guiding and easy guide-star selection, in a compact light weight package. The Altair 60mm Deluxe Finder Scope and Guide Scope system is also compatible, and attaches to the focuser using the Universal Quick Release Finder Bracket, or with Guide Scope Rings. Magnification: The magnification of a telescope is determined by dividing the telescope focal length in mm by the eyepiece focal length in mm. For example the Starwave ASCENT 80ED has a 560mm focal length, which, when used with the Altair Ultraflat 24mm eyepiece yields 23x magnification. (E.g. 560mm divided by 24mm = 23x magnification). If you use a Barlow lens (such as the Altair 2x Flat Field Barlow) just multiply the magnification by 2x. In this case, the result is 46x. Finding objects in the telescope. Using a low power eyepiece at around 25x you can quite easily spot a bright or large object by sighting along the telescope, however fainter and smaller objects would benefit from the optional "finder scope" accessory. For imaging with your DSLR, you'll need a 50mm M48 Extension Tube and M48 DSLR adapter to insert into the 2" focuser aperture. For imaging with the Altair Hypercam or GPCAM cameras, you can attach a camera or filter wheel by means of the rear 2" "push-fit" visual back (which has 3x thumbscrews for extra tight grip and zero flex). Optional Finderscope: 9x50 focusing objective (206.6mm focal length). Finderscope Eyepiece: 23mm focal length with laser etched reticule, independent focusing for eyeglass users. Light Gathering Power (Compared to human eye): 131 x approx. Optical Tube Weight: 2.6kg Approx. A great travel scope, suitable for wide field imaging or visual use, day or night-time. The ASCENT 102mm F11 ED Doublet refractor is optimised for visual observation and imaging of solar system objects. 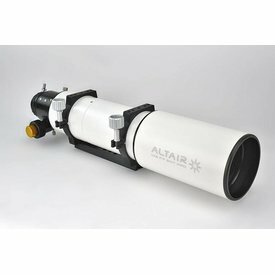 The Altair Astro 80mm ED Triplet APO refractor uses a 480mm focal length lens cell with Japanese Ohara FPL53 ED glass. The Altair Astro Wave Series 102mm f715mm Super ED Triplet APO is a highly specified refractor, offering premium class visual or imaging performance. A non-focal reducing Field Flattener which gives improved results for photography with triplet and doublet refractor telescopes of between F5.5 and approximately F6.25 focal ratio. The Lightwave 0.8x focal reducer gives an 0.8x reduction in F-Ratio for faster exposure times, as well as a correspondingly wider field for astro-photography.